Today is my book birthday! The culmination of 17 years of writing, revising, learning, growing, accumulating rejections, and writing again. 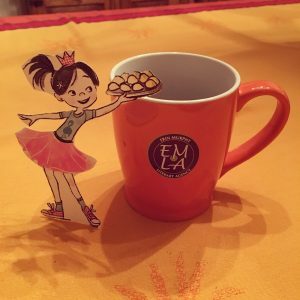 I talk more about this dream come true on Emu’s Debuts, the blog for The Erin Murphy Literary Agency’s debut authors. There are so many people I want to thank, because without them, I would not be celebrating today. 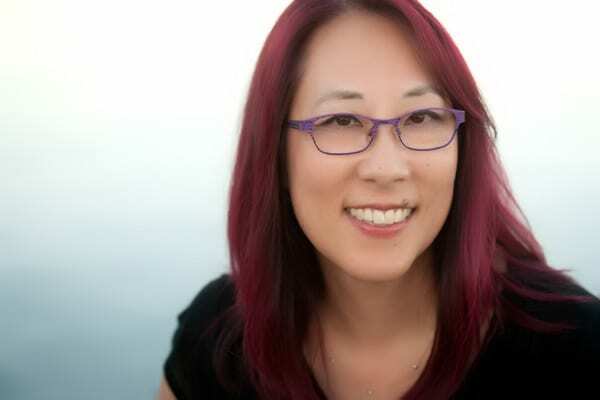 This list could be so much longer because along the way so many people have helped me, encouraged me, buoyed me, but in the interest of keeping this short and sweet, here are the people I want to thank most for Jasmine Toguchi. Acknowledgements: Thank you to – my editor Grace Kendall of Farrar, Straus and Giroux and my agent Tricia Lawrence of The Erin Murphy Literary Agency because without either of them, Jasmine would not be in the world today. My husband Bob and my daughter Caitlin, and my mom, stepdad, and sister for believing in me all along. My writing group of well over a decade, Jo Knowles and Cindy Faughnan, who have read and critiqued many manuscripts and many drafts over the years – and never gave up on me. 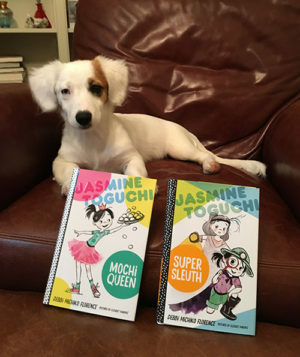 To my additional writing partners who read and offered feedback for Jasmine Toguchi, Mochi Queen – Jennifer Groff, Cynthia Lord, and Debby Garfinkle. To Elizabet Vukovic for bringing Jasmine and her friends to life and to Kristie Radwilowicz for the fabulous book design that made me nostalgic for the Japanese manga of my childhood. To the entire FSG team for being so enthusiastic about Jasmine. And to all of my friends, family, and writing pals (including the LiveJournal community back in the mid-2000s) who supported me, cheered me on, guided me, and helped me – THANK YOU! The day after: And thank you to everyone for sharing and posting and blogging and tweeting. You all made my book birthday more amazing and special than I ever dreamed. Stay tuned next week for a fun opportunity to get signed bookmarks!